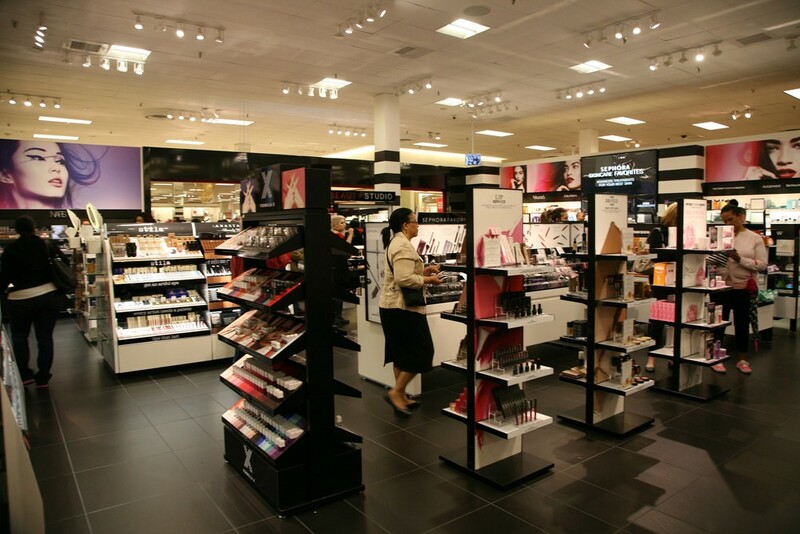 ABOVE: A Sephora store located inside JCPenney. My fiancée, Alex, is a huge fan of Sephora, having made the trip across the pond on many occasions previously, only to come back with mass make-up hauls. For months, she’s been nagging at me to find a way to ship their products over to the UK. Until recently, the only way to achieve this was to order from Sephora.fr, but shipping restrictions meant that only a minor selection of their range could be ordered — not ideal. Thanks to the wonders of Borderfree (which in itself is amazing! ), it’s now possible to ship to the UK from Sephora.com, which is music to the missus’ ears! 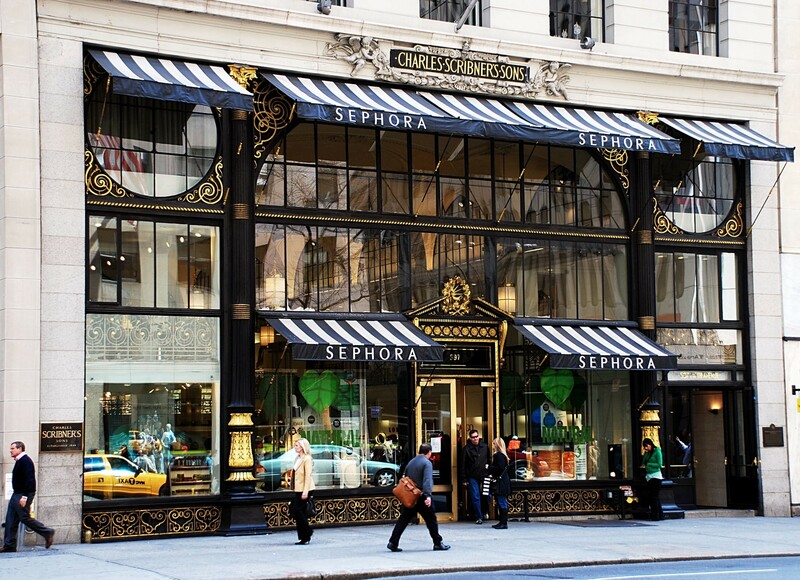 Suffice to say, my first experience of a trip to a physical, Sephora store, came in December 2014, during a pre-Christmas, city break to New York with Alex. I wasn’t expecting much, as being a bloke, I’m not one iota interested in make-up. That said, my opinion soon changed. ABOVE: Sephora, W. 42nd Street, Times Square, New York. 30 seconds or so after setting foot into a very busy, Times Square store on W. 42nd Street, we were pleasantly-approached by a young woman, who firstly introduced herself, and politely advised that she’d be more than happy to provide a helping hand, should we need any assistance. This said, with a beautiful, beaming smile. After politely responding with a, “Thank you very much”, Alex and I then turned to each other, as if to say, “What a lovely warm welcome!” In no sense, did this welcome, come across as being artificial, forced or intimidating, in the way that some sales staff come across, often when shopping in UK electrical or smartphone stores. It was a genuine introduction, which felt personal. That in itself, was a great start to the customer experience. As we visited some of the other stores across New York — 5th Avenue, Broadway, Manhattan Mall (inside JCPenney), Lexington Avenue, Columbus Circle (the list goes on…), we were treated to this, exact same, wonderful welcoming. The positive experience we had in the Times Square store, was consistent across all the other stores we visited. ABOVE: The entrance to the Sephora store at Columbus Circle. Another observation that wowed me, was the huge range of products available in-store. From blushers and bronzers, to body mists and brushes for every need. They even had products to cater for the vain men, among us (myself included!) Everything you could wish for, from a beauty-standpoint, is conveniently housed under one roof, so there is no need to shop elsewhere. Considering the fairly limited size of some of these stores, they were all beautifully and elegantly laid out, with clear signage to aid with locating that very specific shade of red lipstick, you’re more than likely looking for. Similarly, there was ample space to pass those shoppers “in the zone”. ABOVE: A Sephora associate sharing her expertise. During her haul, Alex did end up asking for guidance on a couple of products she had planned to purchase before our visit, to which I was equally surprised by the extensive product knowledge and expertise the in-store staff shared with us. Even with some of the more specific questions posed to them, they were able to answer our queries, without any hesitation. They were very thorough in their responses, but most helpful (and educational) at the same time. Not only that, but they were passionate about the advice they gave, and equally made some great recommendations. Now some may say that it’s because they’re “commission-driven”, but that didn’t come across at all. 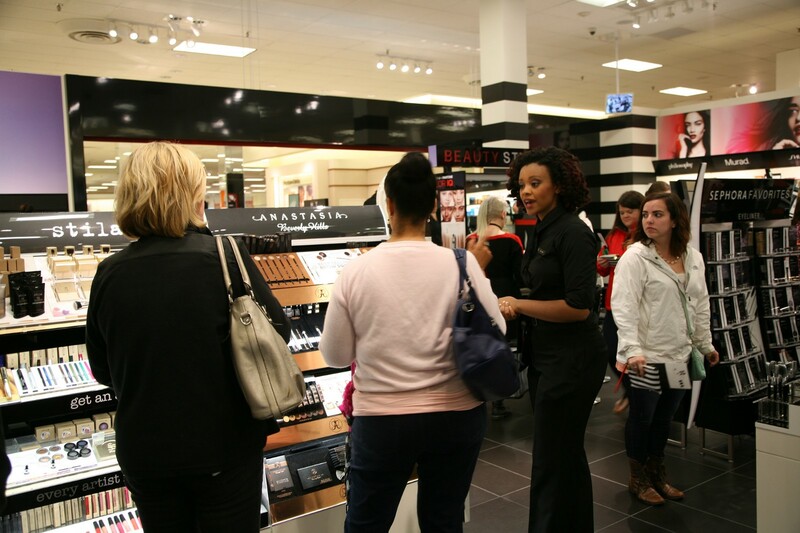 Sephora’s staff are equally as enthusiastic about the products they sell, as the customers that come in to shop for them. That was immediately noticeable. It’s something of a rarity among other retailers. ABOVE: Some example welcome incentives received upon progressing to VIB status. When it came to paying for the goods, I was pleasantly surprised to find that Sephora offer a policy, which entitles their customers to three free samples with any purchase. Again, what a great initiative to get customers back in-store (and online) to buy more. As someone who has spent a fortune with Sephora over the years, to her absolute delight, Alex was informed that she’d now become a “VIB” — Very Important Beauty Advisor. 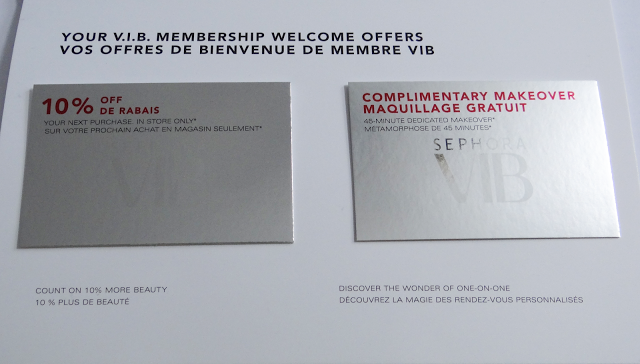 After asking the till operator about this, she took the time to explain their Loyalty Program (for my benefit, more so than Alex’s), which consists of three tiers — Beauty Insider, VIB and VIB Rouge — the top tier, being unlocked by spending $1000 USD in a calendar year. The concept of their scheme is simple to understand, offers fantastic benefits to the customer (the first-level, Beauty Insider tier, entitles the customer to a birthday gift, free beauty classes, product rewards and seasonal promotions) and is FREE to join. It’s a very attractive and rewarding proposition for the customer, but equally, a great marketing initiative by Sephora to encourage repeat purchases. As I say, Alex was over the moon with her upgrade to the second tier of the Loyalty Program, as was kindly given the option to choose a couple of additional FREE products (with a retail value in excess of $100 USD from memory! ), as a goodwill gesture and a thank you for her continued spending. What a lovely touch! 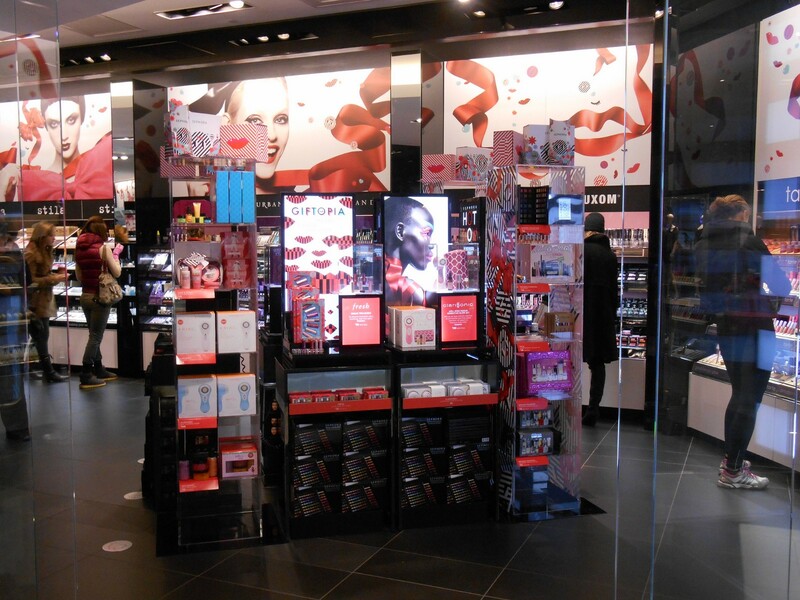 Since arriving back to the UK, I’ve already shared the fantastic experience we had with Sephora, with all of our friends, family and work colleagues. I’ve also spent a lot of time looking at Sephora’s range of websites and apps, which I am also more than happy to sing their praises for. The whole online experience is just as delightful as the in-store experience. Like in-store, every element of the experience has been thought through with the customer at the heart of the decision making process. Alex showed me how when logged into her account, it detailed all of the orders she’s previously placed both online and in-store, listing the specific store locations, each of her items were purchased at. ABOVE: A member of staff serving a customer at the tillpoint. In summary, I’d go as far as saying that I’d had the best customer experience with Sephora (of any retailer, I’d previously shopped with), even though I wasn’t the one doing the shopping! That’s not bad going. It’s the way in which they prioritise everything they do around the customer, and the seamless experience in going from one physical store to another, as well as shopping online. 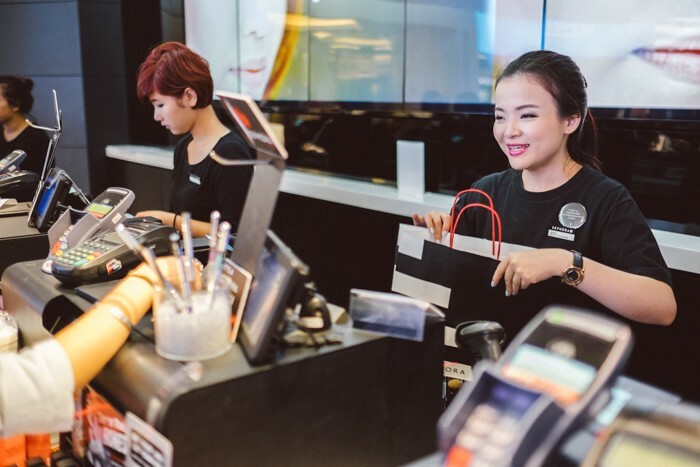 Everything feels familiar and more importantly, it feels like Sephora treat each of their customers as individuals, making the experience that little bit more personal, and that extra bit special, as a result. The passion their staff have for the products they sell and the advice they share, is unparalleled. Lastly, their FREE Loyalty Program is the icing on the cake, offering attractive benefits and rewards that keep customers wanting to come back for more. The simplicity of the three-tier structure, works a treat too. 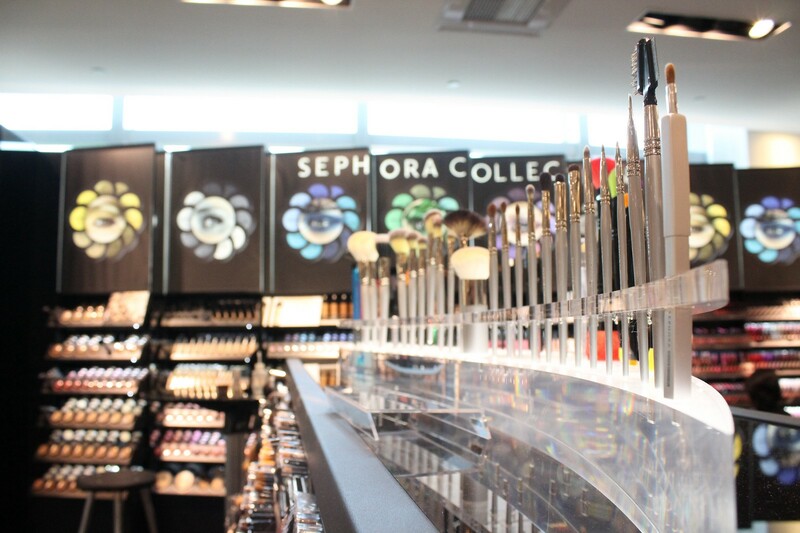 Now, how about setting up shop in the UK again Sephora? The demand’s definitely here. A dedicated store for us blokes, wouldn’t go amiss either! Originally written and published to www.uxchap.com on May 23rd 2015, by Joe Pendlebury.